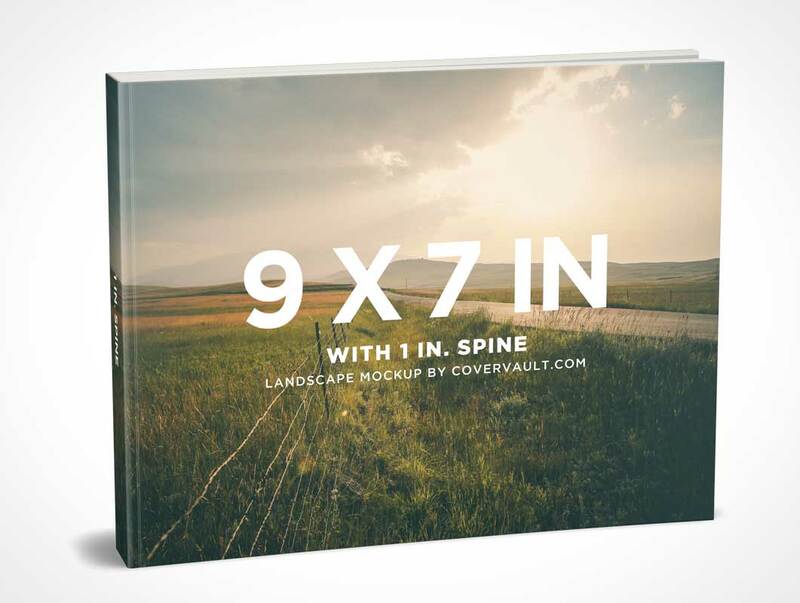 This PSD Mockup renders your supplied book design onto a landscape format book standing upright at a 15° angle. The book is rendered closed and appears to represent a product with 200 pages. The spine is visible in this rendering and features the machined crimp mark which allows the cover and pages to fold nicely towards the spine. The shadows are thoughtfully placed on a separate layer and the background is fully transparent allowing custom backgrounds to be dropped into place.